After less than two years of joint ownership of 183 Madison Ave. Inversiones y Representaciones Sociedad AnÃ³ma (IRSA) has purchased the remaining shares of minority partner Rigby Asset Management. 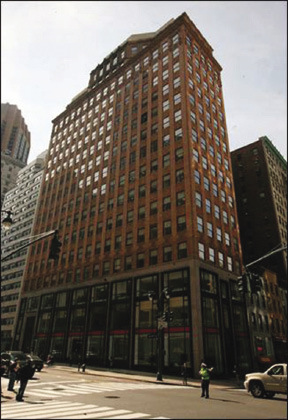 IRSA invested in the Midtown South office building, located at the southeast corner of Madison Ave. and 34th St., in 2011 when it was 50% vacant. Today, the building is 95% leased. The transition will include the original Cushman & Wakefield leasing team of Harry Blair, senior director, and Sean Kerns, associate director. In addition, Herald Square Properties' principals Gerard Nocera, Michael Reid and John Monaco have been retained as co-asset managers along with the IRSA International management team. Blair said, "The speed of the leasing campaign exceeded all expectations, especially going from nearly vacant to almost fully occupied in under two years. The irony that one of our tenants publishes 'Great Places to Work,' kind of says it all." Styled in the Beaux Arts tradition, the 19-story, 250,000 s/f, circa 1925 office building has a range of tenants that include apparel companies, such as Everlast and Charles Komar & Sons; technology and software firms like Rubicon Software and Destination Media; and the New York offices of Grand Marnier. "IRSA's commitment to elevating the value of this asset has produced tangible results quickly," said Daniel Elzstain, IRSA's director. "Not only is the building well-tenanted, our restoration program achieved a landmark designation for the lobby and faÃ§ade, and our infrastructure upgrades made it more desirable for a variety of businesses." Styled in the Beaux Arts tradition, the 19-story, 250,000 s/f, circa 1925 office building has a diverse range of tenants that include apparel companies, such as Everlast and Charles Komar & Sons; technology and software firms like Rubicon Software and Destination Media; and the New York offices of Grand Marnier. IRSA's other commercial asset in New York City is the Lipstick Building at 885 Third Ave., between 53rd and 54th Sts. The Philip Johnson-designed office tower is 95% occupied and its largest tenant is international law firm, Latham & Watkins. Since 2009, IRSA's activity in the U.S. has also included investments in two publicly-traded hospitality REIT's, comprising Supertel Hospitality, Inc., a group of 94 hotels primarily in the Midwest; and Hersha Hospitality Trust, which owns 50 hotels in gateway cities, including 20 in the greater New York metro area. IRSA is Argentina's largest, most well-diversified real estate company, and it is the only company in the industry whose shares are listed on both the Bolsa de Comercio de Buenos Aires and The New York Stock Exchange. Through its subsidiaries, IRSA manages an expanding top portfolio of shopping centers and office buildings, primarily in Buenos Aires. 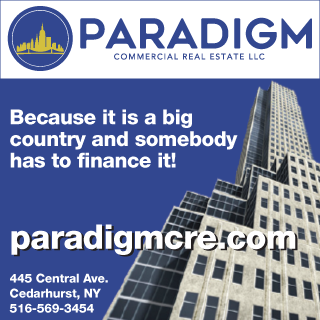 The company also develops residential subdivisions and apartments, specializing in high-rises and loft-style conversions, and owns three luxury hotels.